Personalised Printed Photo Panels and Clock with Gold Clock Hands. 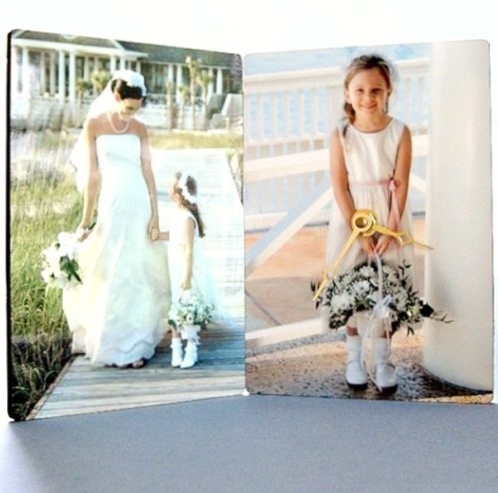 A pair of Chromaluxe hinged photo panels with gold clock hands on one of the panels. Each panel measures 17.8 by 12.7 cm. Each panel can have a different image, please upload both images when customising your item. Make into a superb reminder of a special occasion or wedding day. Fantastic for an anniversary gift and also a perfect Christmas present.